Now, this news is somewhat surprising, even if it isn’t too surprising. You’d think Rose’s popularity would shrink when he isn’t playing, but he’s still Derrick Rose. He’s still a former MVP playing in one of the league’s biggest markets, and he also maintains his presence in commercials, be they for Adidas or other companies. But what’s the biggest reason for Rose’s jersey being so popular? ESPN Chicago’s Jon Greenberg mentioned some useful information. I asked a sports store manager if they still sell Rose jerseys and he said yeah, "because that's 75% of what we get." Now, the question becomes this: are people buying more Derrick Rose jerseys because they’re the jersey that’s more readily available, or are there more Derrick Rose jerseys on the shelves because those are the ones that sell? I’m leaning toward the latter. 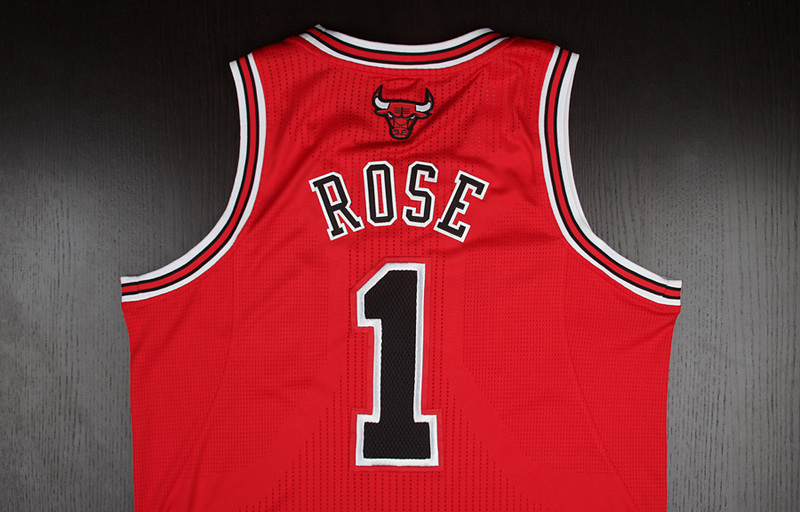 After all, the ratings the NBA Store uses are based on online orders, which means that Rose is still incredibly popular amongst NBA fans, so we’ll no doubt continue seeing plenty of people walking around sporting a Rose jersey. If only we got to see Derrick wearing it more often. This entry was posted in Chicago Bulls and tagged Derrick Rose, Uniforms by Tom Fornelli. Bookmark the permalink.